Harrell will sign a deal with the New York Jets. Last year’s starter in New York, Mark Sanchez, is out with a shoulder injury and won’t play in tomorrow’s preseason finale. First round draft pick Geno Smith has struggled, posting a 54.6 passer rating. 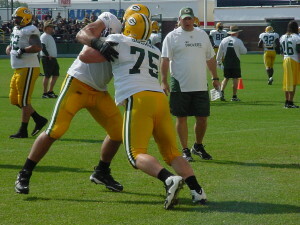 Harrell had similar struggles this summer in Packers training camp, his fourth with the team. He had gone 14 series with just one score, a field goal. 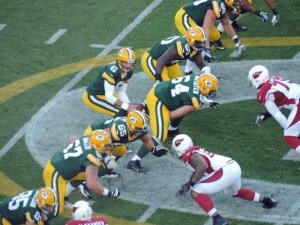 Harrell had reached his ceiling in Green Bay and the Packers decided to part company. 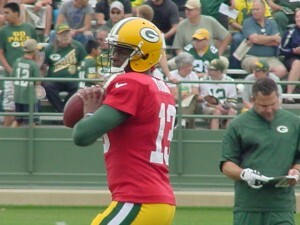 As training camp gets ready to open Friday, Packers General Manager Ted Thompson has made a tweak to the roster. 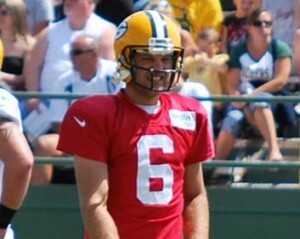 Tuesday, the team announced that they released rookie QB Matt Brown. 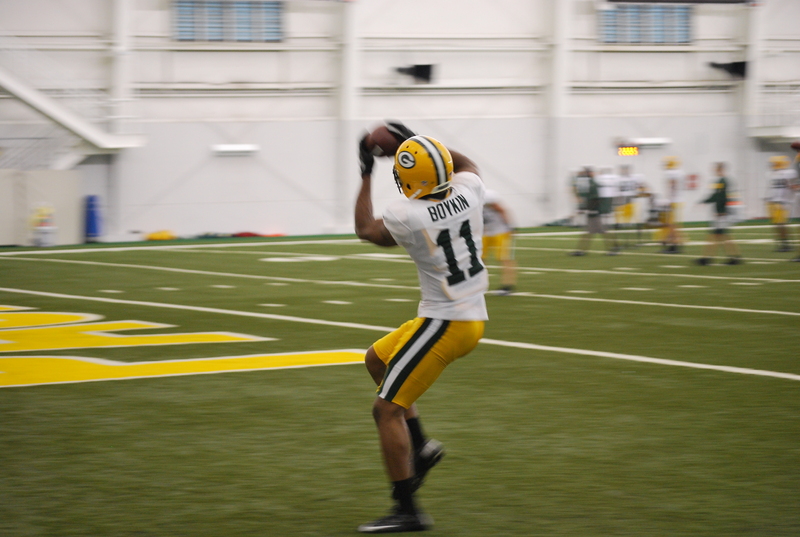 Brown was signed as an undrafted free agent out of Illinois State back in May. That leaves the Packers with a trio of signal callers heading into camp; Aaron Rodgers, Graham Harrell, and B.J Coleman. This move shouldn’t come as a surprise as Coleman and Harrell are expected to battle for the back-up spot behind Rodgers. With limited practice time since the new CBA in 2011, this will allow the two to get more snaps. to 53 players. The backup receivers certainly made a case for the Packers to keep 6 receivers instead of the normal 5. 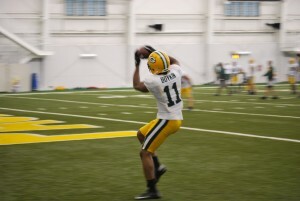 Jarrett Boykin had 5 catches for 82 yards and a touchdown last night. His preseason total is 13 catches for 166 yards. Tori Gurley and Diondre Borel both had a pair of catches last night. Packers coach Mike McCarthy said a number of statements were made in this contest. Mike McCarthy said after the game that he doesn’t have a high level of concern about B.J. Raji’s injured ankle. 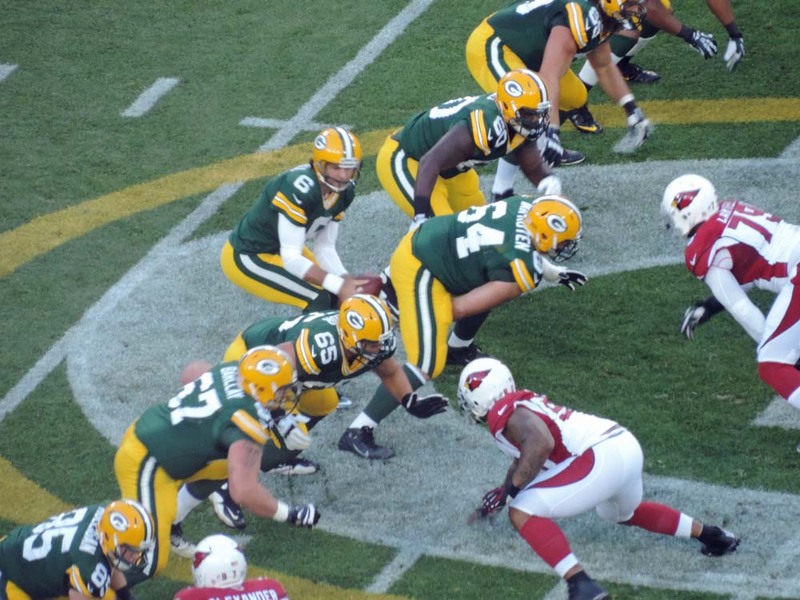 Raji hurt his ankle on the first play of the game. Harrell had fans wondering. 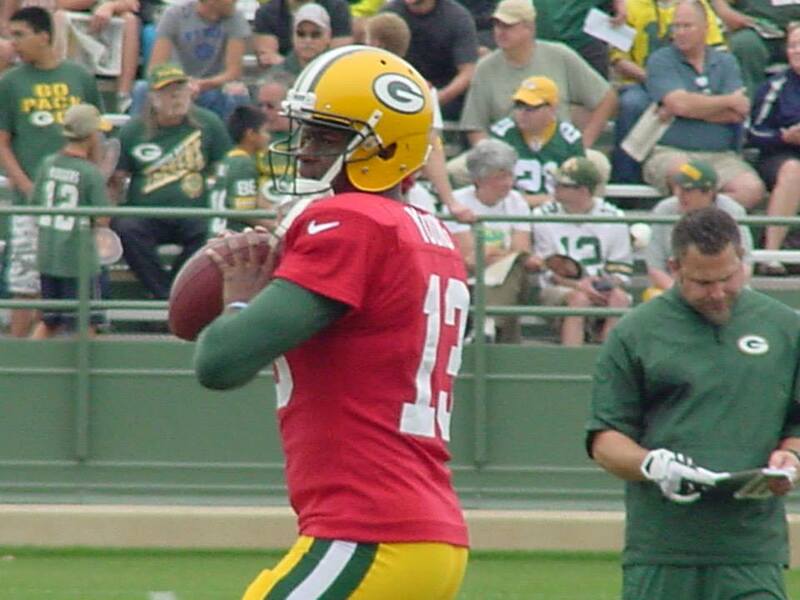 They didn’t know if the Packers had a backup quarterback on their roster or not. 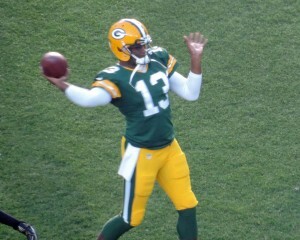 Last night, Harrell proved that he belongs, completing 13 of 15 passes for 223 yards and two touchdowns in the Packers 24-3 win over the Kansas City Chiefs. Harrell had a perfect quarterback rating of 158.3. His performance proved it to be well deserved. His only two incompletions came on a throwaway and a dropped ball. Harrell’s performance for the first three weeks mirrored the second teams performance. That unit failed, which left Harrell with little support. Last night, that unit played better and it allowed Harrell to get into a groove . The coaches cautioned not to read too much into Harrell’s numbers prior to last nights game. Mike McCarthy said repeatedly that they saw progress in Harrell. 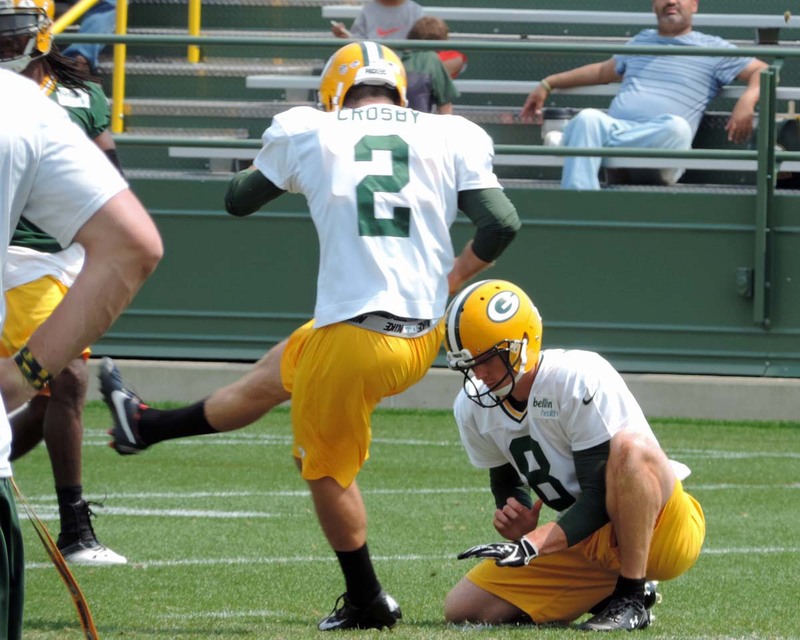 They led you to believe that Harrell was going to be their guy going into the season to back up Aaron Rodgers. Harrell’s performance on Thursday night has everyone feeling much better about the backup in Green Bay.